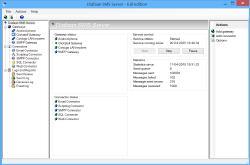 Diafaan SMS Server is a text message software solution for Windows. It can be installed on a Windows server or on a PC or laptop to send and receive SMS messages with 4G/3G/GSM modems, Android phones, all online SMS services that support the SMPP standard and the HTTP API SMS services of BulkSMS, ClickSend, Clickatell, Esendex, MessageBird, Nexmo and Twilio. 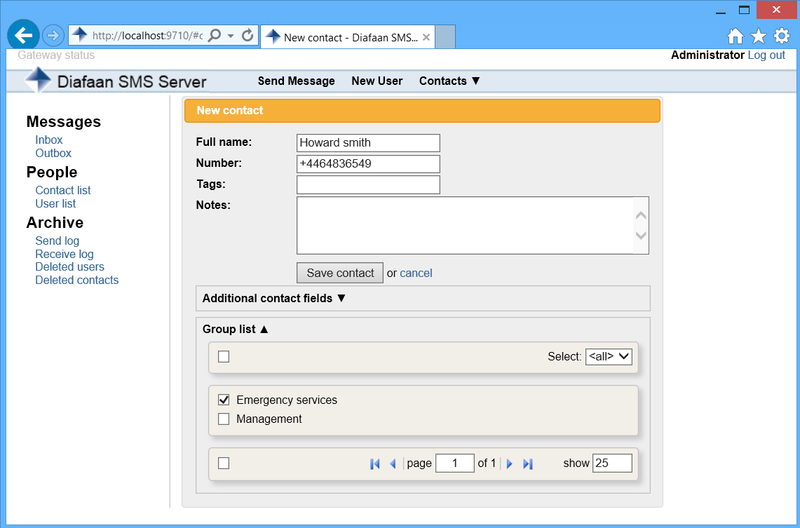 Diafaan SMS Server is designed for professional users, companies that are looking for an easy way to integrate two-way SMS messaging into their IT system. Download and use Diafaan SMS Server absolutely free, without limitations for 30 days! 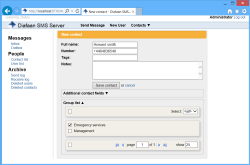 Use a database like MySQL, Microsoft SQL Server (Express), Microsoft Access, Oracle or other SQL database to send SMS messages and store received SMS messages in a database table. Use Microsoft Exchange Server with Outlook or another email platform as a reliable SMS gateway. Send SMS messages from your email client and receive the replies and other incoming SMS messages in the right in-box. Use the HTTP API, SMTP, POP, SMPP, SQL or the commandline client to send and receive SMS messages from your application. 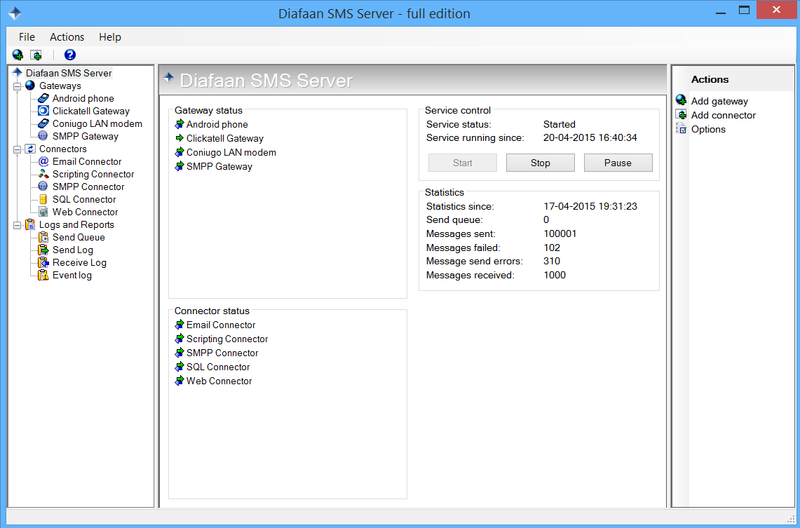 Diafaan SMS Server makes text message integration fast and easy. Compatible with Windows 10/8/7/Vista/XP and Windows Server 2019/2016/2012/2008/2003 (both 32-bit and 64-bit versions).